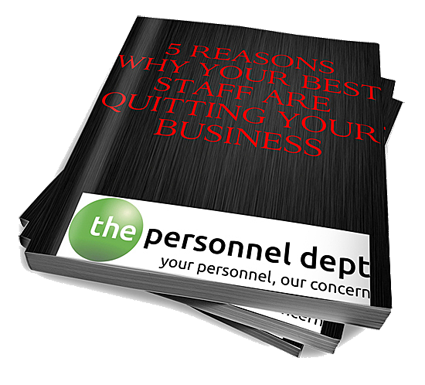 This month's FREE E-Book: 5 reasons why your best staff are quitting your business. We take great pride in giving an exceptional level of service to ensure you continue to use our services. This was reflected when we received the “Best of Lincoln’s” - ‘Most Exceptional Customer Service Provider’ Award in 2008. Building up trust and confidence with you is paramount to our success. In fact, we can provide everything you’d expect to be delivered as if it was your own in-house Personnel Department. If you want an expert and professional HR/Employment Law Resource at your beck and call – just like the larger organisations have with their own Personnel or HR Director or Dept, then this is the service for you. Any service we provide is completely flexible and tailored to your exact needs. An accurate quote will depend on the actual number of employees, specification and contract term. Firstly, to explain, we are not a Recruitment Agency. We offer something different and we believe our fixed fee recruitment service is more effective and better value for money than using a traditional agency or other methods of sourcing your candidates. If you are thinking of recruiting, we can handle your recruitment & selection process from start to finish. Getting the best out of your staff and ensuring they can undertake their role competently may mean giving them the appropriate training and development opportunities to develop both themselves and the job. It may also improve morale and motivation – this may be especially important at a time when it’s harder to engage your people if bonuses and other pay increases have not been paid as usual. "We focus on what really matters in your business and develop solutions to match your requirements"
"Our guarantee is as rock solid as our service. If you are not entirely satisfied you can stop at any point"
"We can offer a project or ad-hoc approach or provide a fully managed service tailored to your needs"